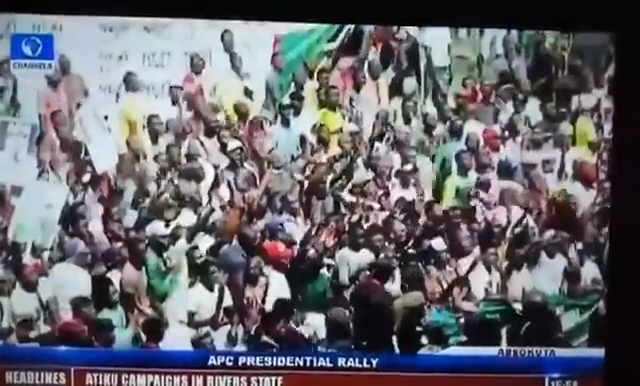 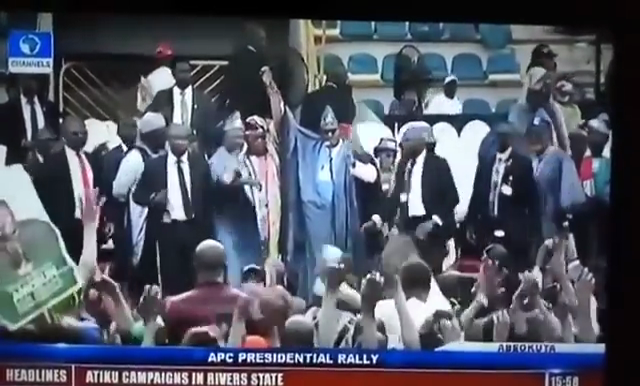 The APC rally in Ogun state abruptly came to a close earlier on Monday after some youths in the campaign rally became unruly and were hurling stones and other objects at the party chairman Adams Oshiomole, while he was making his speech at the campaign ground in Abeokuta. 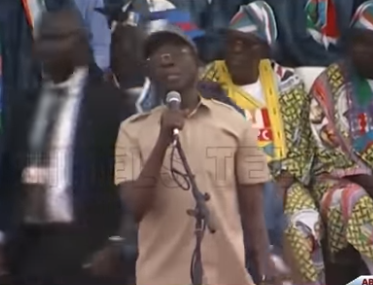 The youths who were certainly against Oshiomole, were chanting ”Ole, Ole” at him when he was addressing the party members. 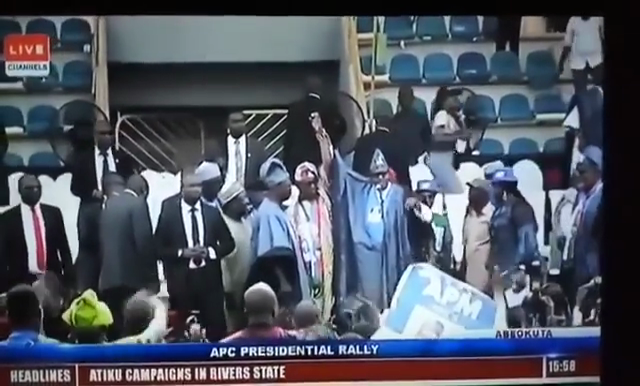 The youths also threw objects when President Buhari was also presenting the party governorship candidate, Dapo Abiodun.